A storage provider is only as good as the facilities that it offers, which is why we’re proud of the diverse range of services that we’ve got on offer at our Scotland Street location! With a range of storage spaces, free parking and even an on-site shop, Storage Vault Glasgow City Centre has a pretty comprehensive range of services on offer. Here’s a little bit more about our Glasgow storage facilities! So, what exactly do we have on offer at our Scotland Street storage building in terms of storage space? Well, to get to the point, quite the range to be honest. We obviously realise that everyone has different needs when it comes to storage. Some people will need a space as big as a small aircraft hangar, whilst others will be quite happy with the equivalent of a cupboard-sized room. At Storage vault Glasgow City Centre, we’ve got units ranging from a cosy 10 square foot all to the way up to a massive 500 square foot. We think it’s safe to say that we’ve probably got a space that matches what you’re looking for. On top of that, the entire Scotland Street site benefits from 24/7 security cameras and surveillance, so you can rest assured that your belongings won’t be going anywhere whilst we’re looking after them. We don’t ask for an upfront deposit or for a fixed contract term either, giving you a lot of flexibility compared to other local storage facilities. If you’re storing a lot of items, it makes sense to pack them up before you put them into your storage unit, but sometimes you might not be able to do that – particularly if you’re moving at the last minute or if you’re not able to find a local store that sells good packing materials. If you find yourself in this situation, you’ll no doubt be pleased to hear that Storage Vault Glasgow City Centre has an on-site materials shop! Our on-site shop sells all of the storage items that you might need to keep your items safe, like cardboard boxes, sellotape, locks and bubble-wrap. Okay, we’d be lying if we said the shop was massive, but for last minute help, (like replacing a broken box) it’s perfect! Dropping off items to be stored can be difficult if you don’t have access to a parking spot near your storage facility. At Storage Vault Glasgow City Centre, we make a point of offering free parking at our Scotland Street location so that you can get all of your items in quickly, safely and with the minimum of effort. There’s nothing worse than finding out you not only have to pay for parking, but also have to cart your stuff for miles before you even get to the building where you’re storing it stuff. We’re really easy to find by car, and you can get to us by public transport like bus and subway too. Feeling adventurous? You can even walk the 15 minutes from Glasgow Central train station! We’re pretty well connected. If you’re currently drawing up your storage plans, we’ve written a great blog about your parking options when you visit Storage Vault Glasgow City Centre. After a busy day of loading your stuff in your space, taking your stuff out of your space, or just checking that your items are still safe, you’re going to work up quite the appetite. Don’t worry though, there are loads of really amazing places to eat within a few minutes of Scotland Street and Storage Vault Glasgow City Centre. 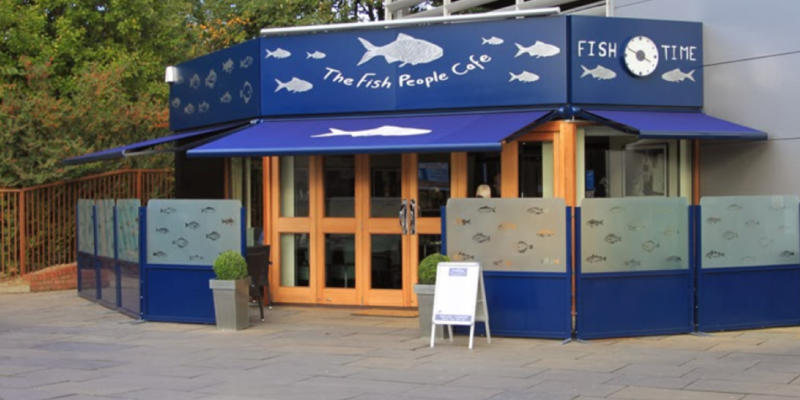 With the award-winning Fish People Cafe, just next door to us, and the city centre and Pollokshaws Road just a short 10 minute walk away, you’ve got an awful lot of options to choose from. We wrote a really useful blog about the options you have for food which you can check out for some inspiration. Tired of clutter controlling your flat or old office equipment making your workplace feel claustrophobic? 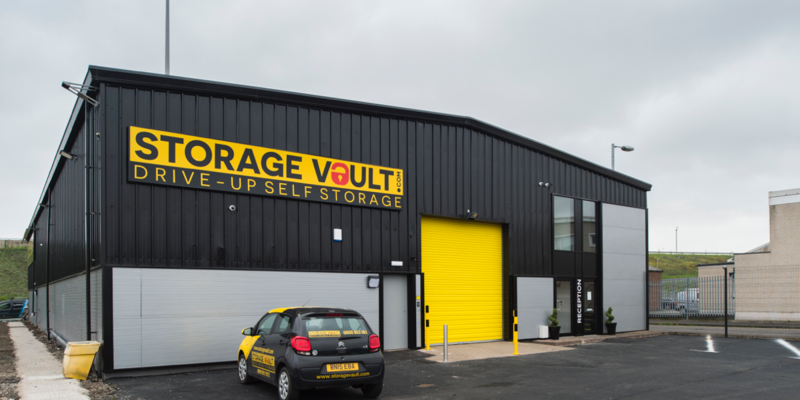 Offload it at the Storage Vault Glasgow City Centre – we have a variety of storage spaces suited to all sizes and budgets. Give our friendly team a call on 0800 802 1822 or drop us an email to find out more.